Knee pain? Eating grapes can help,Suffering from knee pain? 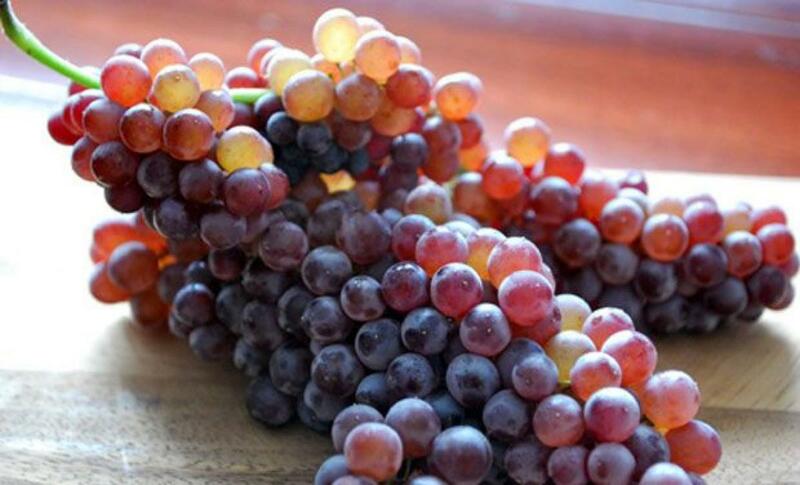 Adding grapes to your diet can help you lessen that excruciating knee pain. Suffering from knee pain? Adding grapes to your diet can help you lessen that excruciating knee pain. Daily grape consumption may help alleviate pain associated with symptomatic osteoarthritis of the knee and improve joint flexibility and overall mobility, a research said. This is possible because of polyphenols (antioxidants) found in grapes. "Our findings provide promising data that links grape consumption to two very important outcomes for those living with knee osteoarthritis: reduced pain and improvements in joint flexibility," said Shanil Juma from Texas Woman's University, US. During the study, researchers assigned 72 men and women with knee osteoarthritis (OA) to either consume grapes in the form of a whole grape freeze-dried powder or a placebo powder. The results showed that both men and women consuming a grape-enriched diet had a significant decrease in self-reported pain related to activity and an overall decrease in total knee symptoms. This beneficial effect was more pronounced in females. Evidence of increased cartilage metabolism was observed in men consuming the grape-enriched diet, the study noted. Osteoarthritis is more likely to occur in people over 45 years of age, and women are more likely to have osteoarthritis than men.